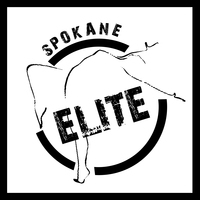 Welcome to Spokane Elite Dance Studio! We hope to see you in class soon! Once you have submitted your registration you will receive an email confirmation. Our team will set up your classes and account and email you again when that is finished! I have chosen to participate, or allow my minor to participate, in the registered activity ("Activity"), and recognize the possibility of physical injury associated with this Activity. I hereby freely assume the above-mentioned risks as well as other risks not listed that are part of this Activity, and any harm, injury or loss that may occur to me or my property as a result of my participation in the Activity or during any transportation to or from the Activity. On behalf of myself, or as the legal parent or guardian of a minor under 18 years old, I hereby release and forever discharge and shall defend, indemnify, and hold harmless, Spokane Elite Dance Studio LLC, its owners, employees, agents, contractors, operators, providers of any equipment, and land owners ("the Released Parties") from any and all liability, claims, demands, judgments, damages, costs, expenses (including without limitation attorneys' fees and court costs), actions, causes of action or rights of action, of whatever nature, character or description, for personal injury, property damage or death that arise from, are related to or are in any way connected with the Activity. This release includes claims for the negligence of the Released Parties and claims for strict liability for abnormally dangerous activities. This release does not extend to claims for gross negligence, intentional or reckless misconduct, or any other liabilities that Washington law does not permit to be excluded by agreement. I also agree not to sue or make a claim against the Released Parties for death, injuries, loss or harm that occur during the Activity or are related in any way to the Activity. The undersigned gives permission to Spokane Elite Dance Studio LLC, its owners, employees and operators to seek medical treatment for the participant in the event they are not able to reach a provided medical contact, parent or guardian. I gave advised Spokane Elite Dance Studio LLC in writing of any physical or mental problems, restrictions, or conditions related to the participant. In absence of any written notice I declare the participant to be in good physical and mental health. On behalf of myself, or as the legal parent or guardian of a minor under 18 years old, I hereby grants to Spokane Elite Dance Studio LLC, its employees, contractors, and assigns, the right to take photographs and/or video images of the participant in connection with the registered activity, and to copyright, use and publish the same in print and/or electronically with or without participant's name, for any lawful purpose, including publicity, illustration, advertising and web content. I have read through the Studio and Payment Policies as listed in the registration packet under the Parent Information tab of the studio website. Fees are billed as they become due and payable, while tuition is generally posted the first of each month and is due by the end of each month. Families who opt to pay Monthly must have an updated credit card on file and select an auto-pay date of the 5th, 15th or 25th for Spokane Elite Dance Studio LLC. to withdraw on. All payments are non-refundable, and any outstanding balance not paid by the end of the month will receive a ten dollar ($10.00) late fee. Any returned checks or payments will incur a ten dollar ($10.00) service fee. Spokane Elite Dance Studio LLC. reserves the right, in its sole discretion, to take any legal action necessary against myself as the participant, or as the legal parent or guardian of a minor under 18 years old, for non-payment of fees otherwise due and owing, including associated debt sale or assignment to, and the use of, third party collection services.